Blind Deconvolution consists in the estimation of a sharp image and a blur kernel from an observed blurry image. Because the blur model admits several solutions it is necessary to devise an image prior that favors the true blur kernel and sharp image. Many successful image priors enforce the sparsity of the sharp image gradients. Ideally the \(L_0\) “norm” is the best choice for promoting sparsity, but because it is computationally intractable, some methods have used a logarithmic approximation. In this work we also study a logarithmic image prior. We show empirically how well the prior suits the blind deconvolution problem. Our analysis confirms experimentally the hypothesis that a prior should not necessarily model natural image statistics to correctly estimate the blur kernel. Furthermore, we show that a simple Maximum a Posteriori formulation is enough to achieve state of the art results. To minimize such formulation we devise two iterative minimization algorithms that cope with the non-convexity of the logarithmic prior: one obtained via the primal-dual approach and one via majorization-minimization. Krishnan, D., Bruna, J., & Fergus, R. (2013). Blind deconvolution with re-weighted sparsity promotion. CoRR arXiv:1311.4029. Levin, A., Weiss, Y., Durand, F., & Freeman, W. (2011a). Efficient marginal likelihood optimization in blind deconvolution. In 2011 IEEE Conference on Computer Vision and Pattern Recognition (CVPR) (pp. 2657–2664). doi: 10.1109/CVPR.2011.5995308. Michaeli, T., & Irani, M. (2014). Blind deblurring using internal patch recurrence. In D. Fleet, T. Pajdla, B. Schiele, & T. Tuytelaars (Eds.) 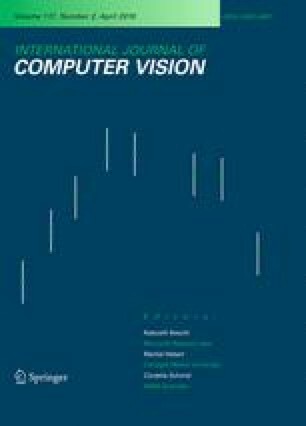 Computer Vision—ECCV 2014. Lecture Notes in Computer Science, vol. 8691 (pp. 783–798). Cham: Springer International Publishing. doi: 10.1007/978-3-319-10578-9_51. Möllenhoff, T., Strekalovskiy, E., Möller, M., & Cremers, D. (2014b). The primal-dual hybrid gradient method for semiconvex splittings. CoRR arXiv:1407.1723.